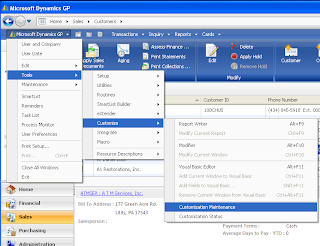 Download the file then in GP click on Microsoft Dynamics GP > Tools > Customize > Customization Maintenance and import the package file we provided. If you think this was easy and cool-- think about how we can make your Dynamics GP buzz in other ways! Just drop us a line at sales@landiscomputer.com. PS-I just realized GP is cooler than I thot. If GP is installed on your computer and you you click on the link above it will automatically prompt you to import it! Could installing a customization be any easier?